Orlando, Fla. – The newly formed Grand Golf Resorts of Florida is offering special summer rates that represent guest savings of 50 percent. From the Gulf to the Atlantic and managed by Salamander Hotels & Resorts, the collection unites Innisbrook Resort in Tampa Bay, Reunion Resort in Orlando and Hammock Beach Resort in Palm Coast, and features a variety of accommodations, family activities and nine championships golf courses. Known for its top-rated Copperhead golf course, Innisbrook Resort in Tampa Bay is offering a 50 percent discount on its standard published rates for guests who book by August 15, 2012, and stay by October 10, 2012. Guests will stay in suite accommodations, and can play at any of Innisbrook’s four championship golf courses, visit the new Indaba Spa, walk nature trails, dine in four restaurants and enjoy the Loch Ness Water Park. Blackout dates and other restrictions may apply, and a minimum stay of two nights is required. To book, visit www.VisitInnisbrook.com and use booking code: SUMMER, or call 866-599-6425. The AAA Four Diamond-rated Reunion Resort in Orlando is offering a summer “buy one, get one free” special on its deluxe, superior or estate level villas. Reunion features golf courses designed by Jack Nicklaus, Arnold Palmer and Tom Watson, numerous pools and a water park, a boutique spa and rooftop dining, from which the area’s nightly firework displays are visible. The special offer is valid on stays until September 30, 2012, when the paid night is at the standard published rate. The price will display as 50 percent discount on each night's stay, blackout dates and other restrictions may apply, and a minimum stay of two nights is required. Make reservations by visiting www.ReunionResort.com or calling (866) 880-8563. At the AAA Four Diamond-rated Hammock Beach Resort, located along two miles of the Atlantic Ocean’s Palm Coast, guests can also enjoy a “buy one, get one free” offer, as well as top golf courses by Nicklaus and Watson, oceanfront dining, a relaxing spa and a beautiful water park. The offer is valid on stays from Sunday through Thursday until September 30, 2012, in one of Hammock Beach Resort’s spacious one-bedroom villas. The paid night must be at the standard published rate, and the price will display as 50 percent discount on each night's stay. Blackout dates and other restrictions may apply, and a minimum stay of two nights is required. To book, visit www.HammockBeach.com or call (866) 841-0287. 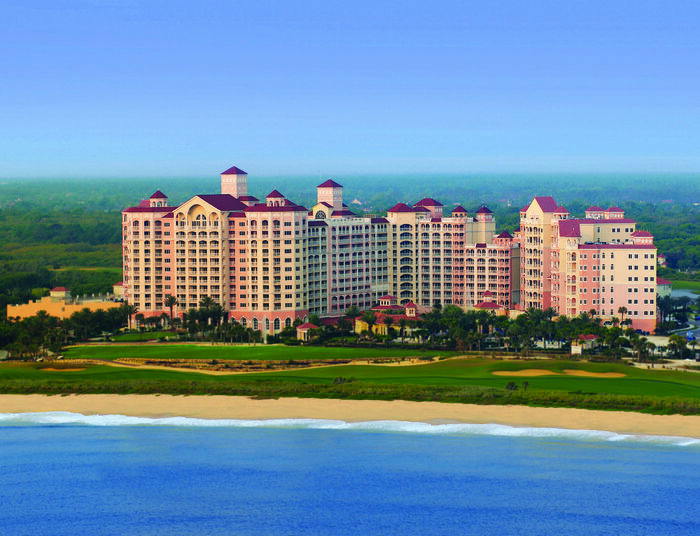 Three of Florida’s grandest golf resorts have united under the management of Salamander Hotels & Resorts. Grand Golf Resorts of Florida features Innisbrook Resort near Tampa, Reunion Resort in Orlando, and Hammock Beach Resort in Palm Coast. The collection includes 1250 luxurious villa-style accommodations, and 162 holes of golf designed by Jack Nicklaus, Arnold Palmer, Tom Watson and Larry Packard that form the Legends of Golf Trail, which traverses 200 miles between the resorts and across the Sunshine State. 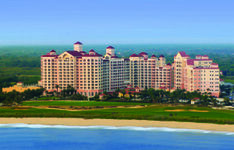 For more information, visit www.grandgolfresorts.com or call (888) 770-6501.